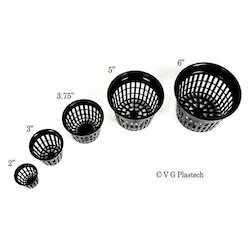 Manufacturer of a wide range of products which include hydroponic unbreakable round net pot, unbreakable hydroponic 3" net pot, hydroponic unbreakable 2" net pot, unbreakable hydroponic net pots, plastic unbreakable 6 inches net pot and aquaponic unbreakable net pot. Sizes Available:2", 3", 3.75", 5", 6"
Product is made in India under "Makers of India" campaign. This product is use in hydroponics vertical nursery. 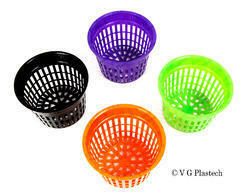 We use heavy duty 100% Virgin (Special Grade for Hydroponics) UV stabilized plastic RO material. There are black, natural white & other colors available as per your requirements. 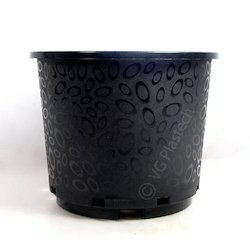 Superior quality Round (Heavy Duty) Net Pots are useful for propagation, aeroponics, deep water culture, flood and drain, drip feed systems and NFT or for your own home made system. Using net pots allows the roots to grow down through the mesh. Good air circulation in the root zone is essential for a healthy root zone and produces a healthy plant. 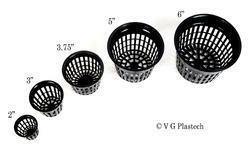 Our Heavy duty net pot could be use in Hydroponics, Aquaponics, Aeroponics systems. Our net pot specially design for fastest root development. Sizes Available: 2", 3", 3.75", 5", 6"